Find hotel near Northern Ireland War Memo .. The Northern Ireland War Memorial is a museum dedicated to those brave hearts who gave up their lives during the First and Second World War. It is also a memorial for those who died in the Blitz on Belfast in 1941. The memorial is a testimony of friendship with the US forces who trained at Belfast between 1942 and 1944. The exhibitions at the museum change every quarterly. There is an audio that plays in the museum narrating relevant stories about the exhibits. 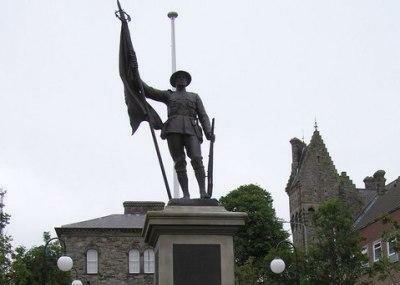 How popular is Northern Ireland War Memorial? People normally club together Ballykeel Baptist Church and Dunmurry Golf Club while planning their visit to Northern Ireland War Memorial. Excellent presentation by an articulate young man. Nobody rushed our group. As far as I know no money transacted hands - nor was there any mention of voluntary donations. Interesting WW2 letter were on display in the archives section. Songs from Vera Lynn. Tea, coffee and biscuits were provided. 90 very profitable minutes. Small but very informative museum about Northern Ireland's contribution and experience during WWII. Staff were friendly and able to answer questions. Spent about 35 minutes here total. Fantastic place to visit. Really friendly and knowledgeable staff.